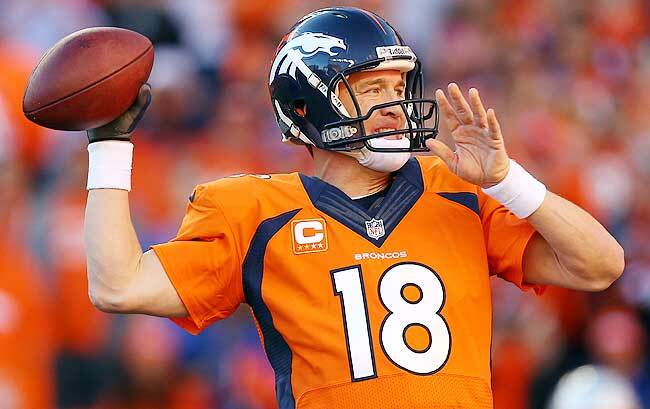 Peyton Manning and the Denver Broncos agree to a 5 year $96 million deal. Let the hype begin! 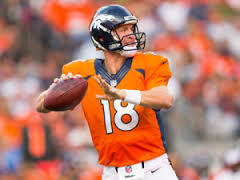 By all indications free agent Peyton Manning is going to play for the Denver Broncos next season. He asked his agent to begin contract negotiations with the team on Monday. After a week of constant media attention and tryouts, for a few teams to include the 49ers and the Titans just to name a couple, the fog has cleared. Countless hours of talk on radio and tv and even a helicopter following his truck leaving the airport which was very reminiscent to the O.J. Bronco chase in 1994. It will all come to an end in the next day or two and only talk of next season with Manning and the Broncos will ensue. 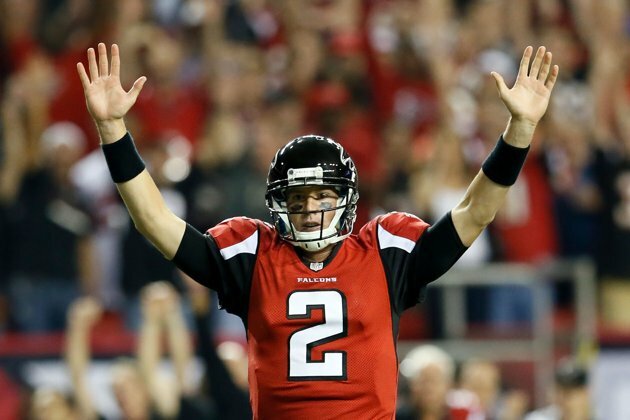 He has been without a doubt the most sought after free agent to hit the market since Reggie White left the Philadelphia Eagles take a big money deal with the Green Bay Packers in the early 1990’s. He is leaving Indianapolis where he played for 14 seasons and had a very successful career breaking records and winning a Super Bowl title. He will be going to a team that had a QB controversy all of last season. The Broncos fans were pulling for Tim Tebow to be their QB all last season. 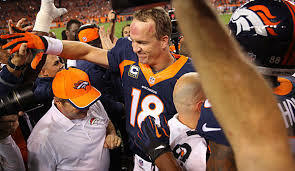 You can rest assured that there will be no controversy any more Manning is their guy and will be their guy hands down. This will be a very interesting season coming up for the Broncos with Manning at the helm. They lost Wide Receiver Brandon Loyd to the New England Patriots via free agency. You have still got to believe even with Loyd gone from the picture Manning will have enough talent around him to make the Broncos very strong contenders in the AFC. The one question that some have is whether Manning’s health will be an issue. 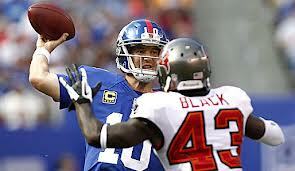 He underwent season ending neck surgery before the 2011 season began. The Colts were unsure for most of last season of whether they would stay with him at QB or go with the obvious 1st pick overall in the draft Stanford’s Andrew Luck. They chose to go with a young QB with a lot of potential for the future than take a chance on Manning for a few more seasons and have no future plan in place when he retires. As this past week showed there were more than enough teams that would love to have Manning take over and turn their franchises around or put them over the top. The Broncos were a team that seemed to be tired of the QB controversy and want to win without a doubt now. They seemed to have turned on the pursuit in the last couple of days with team president John Elawy courting Manning and meeting with him on numerous occasions. 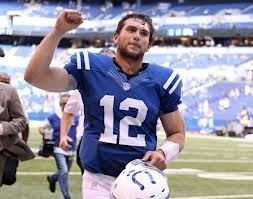 They tried hard and won the battle for possibly the biggest free agent QB ever. 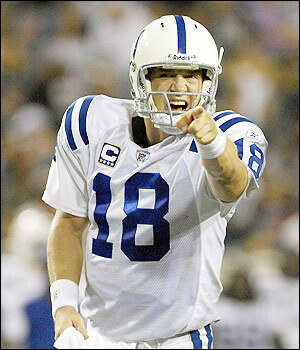 Its time for Manning to shine and prove all of the doubters wrong. He very well could win another World Championship or more in the upcoming seasons as long as he can stay healthy. This will be a very exciting season coming up for the NFL this year. Manning going to Denver will likely be the sports story of the year and will be dominating the radio and tv airwaves till this time next year. So its safe to say at this point that the Broncos have their man at QB once and for all.